I spend my time cooped up in a little shed that I have converted into a makeshift office/studio. I listen to records and attempt to be as creative as possible, as often as possible. I generally am unsatisfied with the results, but every once in a while...good things happen. My first novel, Strawberries, is out now. I spent a few years working on it, and people seem to like it. some days I believe them, and some I don't. I am working diligently on my next book, which will be nothing like my first book. To ask Casey Bartsch questions, please sign up. Casey Bartsch I haven't had it. I'm either in the mood to write, or I am not. 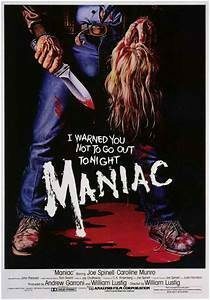 Maniac (1980) review – it only takes one thumbtack? Thanks to MVD for sending out a copy of this one for review. This doesn’t affect my judgment of the film or the contents of the Blu-ray. We’d love your help. Let us know what’s wrong with this preview of False Memory by Dean Koontz. We’d love your help. Let us know what’s wrong with this preview of Everville by Clive Barker.
" Hey Annia, I'm looking to get more reviews on my latest book, Behind the Red Curtain. It's pretty dark and brutal, so if you are into that sort of thi Hey Annia, I'm looking to get more reviews on my latest book, Behind the Red Curtain. 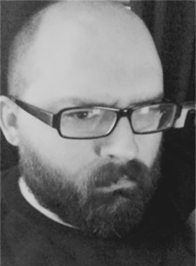 It's pretty dark and brutal, so if you are into that sort of thing, shoot me a message. Cheers!Behind The Red Curtain ...more "
" If you have any interest in psychological thriller/horror, I need to get some more reviews on my most recent book, Behind the Red Curtain. It's pretty If you have any interest in psychological thriller/horror, I need to get some more reviews on my most recent book, Behind the Red Curtain. It's pretty dark, so if you aren't into that, no worries. If so, send me a message-I'd love to send it to you. ...more "
"This is not a book which speaks universally, but to those ‘The Catcher in the Rye’ does reach - primarily males - it strikes them like lightening. Or so I've noticed. A place to get together with others who enjoy reading indie authors and discuss their books.